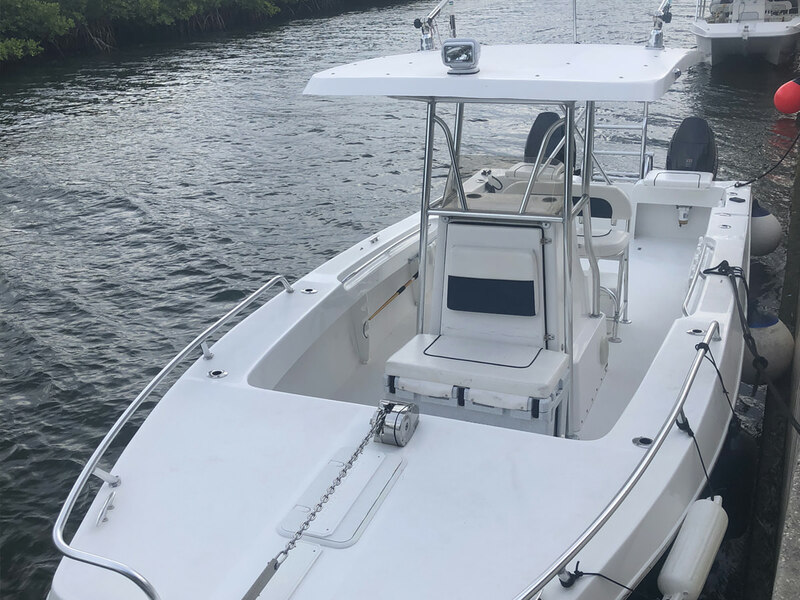 Seasoned fishermen and families alike will appreciate the features and layout found aboard this family-friendly fishing platform. The 26ft Sea Vee is the boat of choice for any family that wants to fish in a spacious 26-footer that handles open seas without a problem. 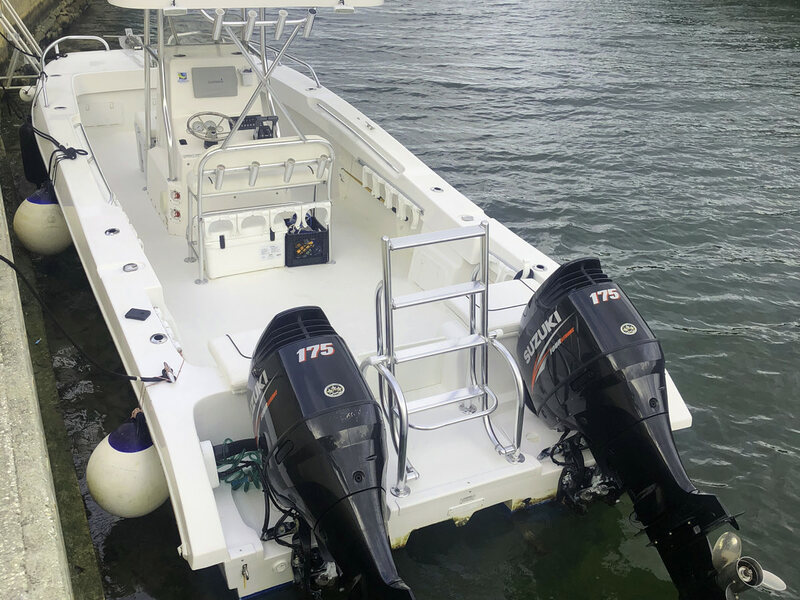 This custom made Twin Vee was custom made for fishing and is equipped with downriggers, outriggers, good electronics and an experienced crew who know the local waters. 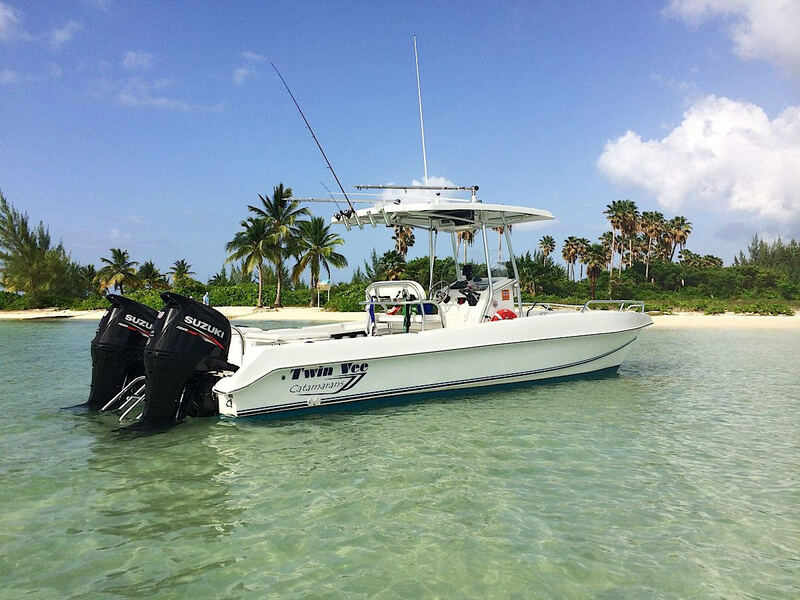 The boat is suitable for a max of 5 fishermen and comes with a captain and mate. Charters are either Half Day (of 4 hours) or Full Day (8 hours) and depart from either the West Bay Dock or Morgan’s Harbour. The crews all have extensive experience here in Cayman and the gear is all high quality. Trips include free use of the gear, bait and ice and water. Our catch in Deep Sea fishing ranges from the mighty Marlin, Wahoo, Mahi Mahi and Tuna. If you prefer to go reef fishing, we target Grouper, Snapper and Ocean Turbot. Shark and Swordfish Charters are available by special request. Rate includes Captain, mate, all fishing gear, bait, free use of snorkeling gear, stingray food, iced water. This trip is a 4 hour Reef Fishing trip. We will go out to the reef and fish for Grouper, Snapper and Ocean Turbot. Max guest for this trip is 8 anglers. This trip is a 4 hour Deep Sea Fishing Trip were we target the main fish species that are abundant around Grand Cayman; Marlin, Dolphin Fish, Tuna, Barracuda and Wahoo. Fishing starts only a half mile from shore already since the Cayman waters are extremely deep close to shore. Max guest for this trip is 5 anglers. This trip is a 8 hour combined Reef Fishing and Snorkeling trip. We will first go out to the reef and fish for Grouper, Snapper and Ocean Turbot. Then we will proceed to one of the beautiful snorkeling spots in the North Sound Lagoon which you can choose. Max guest for this trip is 8 anglers / snorkelers. This trip is a 8 hour Deep Sea Fishing Trip were we target the main fish species that are abundant around Grand Cayman; Marlin, Dolphin Fish, Tuna, Barracuda and Wahoo. Fishing starts only a half mile from shore already since the Cayman waters are extremely deep close to shore. Max guest for this trip is 5 anglers.